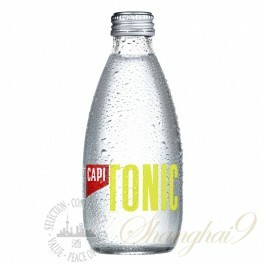 The CAPI brand was born from a simple idea to produce clean, natural carbonated refreshments. In a world full of mass-production, CAPI wanted to defy the norm through its craftsmanship, quality ingredients and outstanding drinks. An award-winning, classic style tonic water that is made from the best quality natural quinine. Lifted with lemon, lime and orange essential oils, our Tonic has a delicate citric balance, perfect to bring out the true profile of your gin.